FULLERTON, CA. 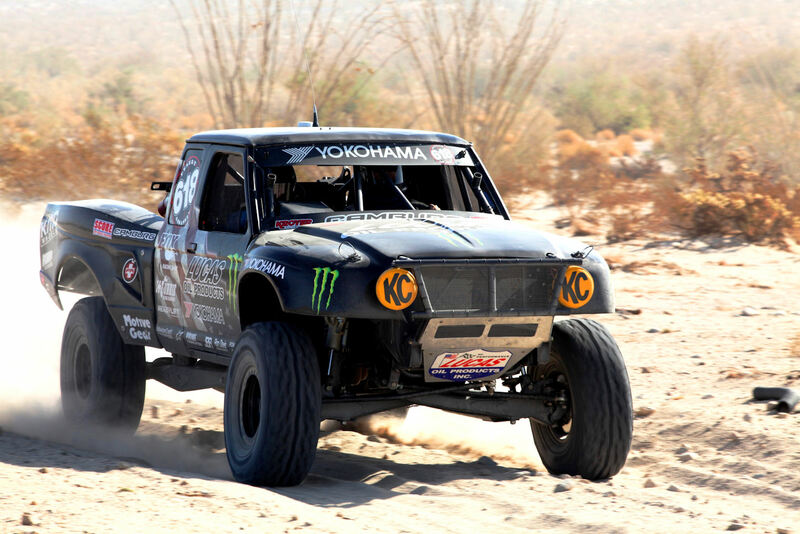 – (Sept. 11, 2011) – It was an exceptional day for the Steele family and Yokohama Tire Corporation at the Tecate SCORE San Felipe Challenge of Champions, September 10, in San Felipe, Baja, California, Mexico. Husband and wife team Cameron and Heidi Steele put on a show with Yokohama’s Geolandar® tires. Heidi – battling severe stomach flu – won the Class 6 division (with a lot of help from co-driver and Desert Assassins teammate Rene Brugger and his son Richie), while Cameron finished fifth in the ultra-competitive Trophy Truck division, and seventh overall among all 77 racers. This was the second win this season in San Felipe for San Clemente, California-based Heidi Steele and San Diego’s Brugger, who won on the same challenging course in March. This time they finished the 250-mile race on their off-the-shelf Yokohama Geolandar M/T+® tires in 5:57:12. Cameron Steele teamed with Rick Geiser (Phoenix) and Cody Stuart (Capistrano Beach, California), to campaign their Geiser Brothers GMC Sierra (with new, custom-made 40-inch Geolandar tires) to a season-best fifth place in 4:40:06.